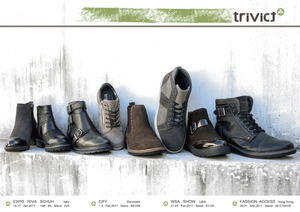 ﻿﻿ ﻿ Trivict Co., Ltd.
TRIVICT will be attending the Expo Riva Schuh in Italy on January 14-17, 2017. 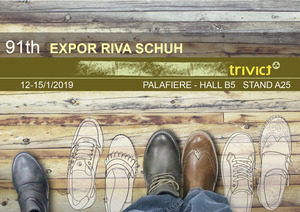 TRIVICT will be attending the Expo Riva Schuh in Italy on January 12-15, 2019. Expo Riva Schuh. 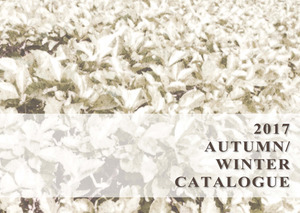 Looking forward to meet you soon! TRIVICT will be attending the Expo Riva Schuh in Italy on June 6-19, 2018. 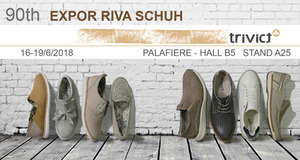 TRIVICT will be attending the Expo Riva Schuh in Italy on June 11-14, 2016. Copyright © 2014 TRIVICT All Rights Reserved.